My book is complete! Almost. Hi everyone, any published authors out there? Well there are none here – yet! I don’t know if you remember, but I blogged several months ago (on July 18, 2012 to be exact!) about being asked to write a book for the Globe Pequot Press titled: How to Start a home-based Computer Repair Business. 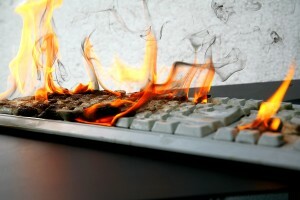 My keyboard has been on fire for the last 8 months! Awesome, thanks! Off to production it goes. I should have first pages for you in about three weeks! What does that mean for me? I have my nights and weekends back! For anyone that has ever written a book of any length (mine is about 70,000 words) I now have a huge understanding of the process and a deep respect for authors unlike ever before. This process is time consuming, tedious, and one must have an attention for detail. There are other parts of being an author that I didn’t really understand until I did it. In fact, I went back through the earlier parts of the manuscript and I had forgotten about some of the things that I wrote about early on. Yikes, where did the time go! Well 8+ months later, a mild case of carpal tunnel and a new respect for writing, it’s complete. I was told that I’d see the first chapter in “print format” for approval in about 3 weeks before the printing press runs the thousands of copies for Amazon.com. Ok then, so a HUGE weight has been lifted off my shoulders. Check this project off the list!